Make your next visit to the beach the best ever! Summer is the season of beach travel. If you’re looking to spice up your next beach trip and make it nothing short of amazing then you’ve come to the right blog post. 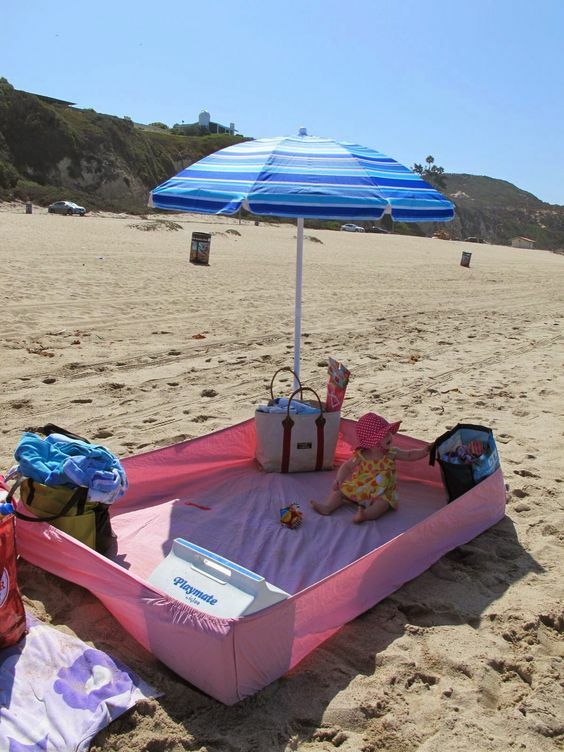 See our cool beach ideas below for your next beach-cation. Have one person from your group take an object and hide it somewhere on the beach and then draw out a treasure map to find the object. All you will need are a few sheets of paper, a writing utensil, and something to hide! Just make sure that what you’re hiding isn’t valuable just in case “x” doesn’t exactly mark the spot. Bring a fitted sheet with you and pull up the corners using stable objects. This will create a wall and keep sand from blowing into your area. This is a great way to keep a lasting memory. You can be as creative as you want with this… and maybe even fashion a seashell frame to go along with the print? There are endless beach snack ideas the can be found via (of course) Pinterest. Some of our favorites include: Chips with homemade salsa, cold pasta salad, and watermelon drinks made inside an actual watermelon! Yum! !